I’d highly recommend getting the “Berlin Ulmon” app. It works as an offline map and if you plan properly beforehand you can favourite all of the places you want to go and work out which places are close together before you go. There is a lot of walking to do in Berlin so make sure you bring a pair of comfortable shoes. East Side Gallery is a memorial site representing the lack of freedom under communism after the war. The wall divided East and West Berlin and anyone that tried to cross the wall would be killed. The wall is located in the district of Friedrichshain and it is surreal to think that people living less than a mile away from each other weren’t allowed to see each other. It is a must see whilst visiting Berlin as artists have covered the wall in graffiti and quotes representing the political events that happened in 1989 and 1990. Get a Mexicana! Ordering a Mexicana in a bar in Berlin is about as common as ordering a shot of vodka elsewhere. It tastes like a Bloody Mary but it’s a shot and uses tequila instead of vodka. They are usually sold for 2 euros and taste absolutely amazing. I didn’t manage to get a picture because I drank them as soon as they were given to me. 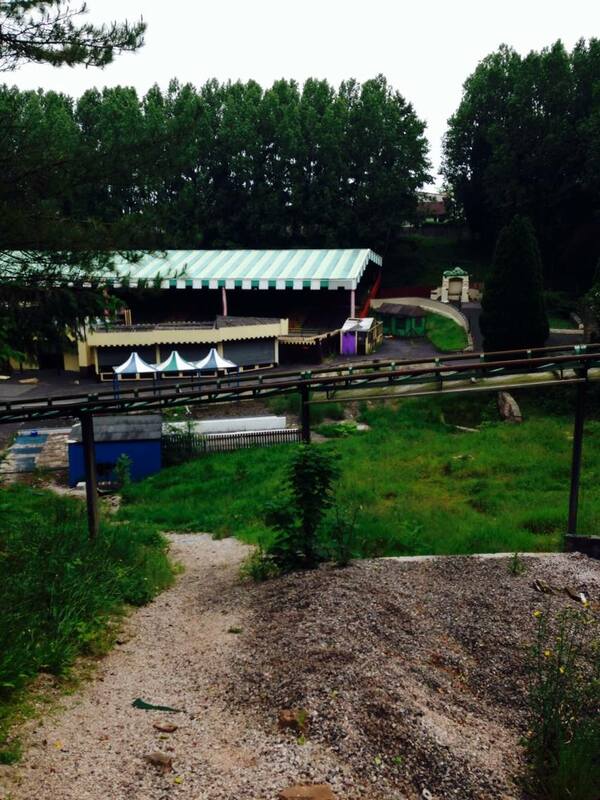 Spreepark! 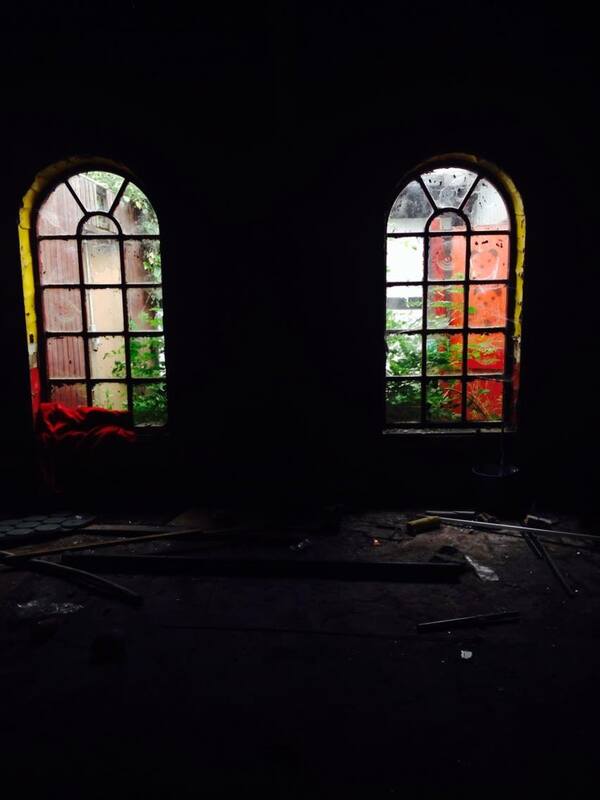 is an abandoned theme park in the Treptow-Köpenick district of Berlin. Unless you are an early riser it’s pretty hard to get into but you can still see the whole park despite a fence all the way around it. I was put off trying to get because there’s a huge park surrounding it and people constantly walking past. You can see all you need to see just walking around it. The Ferris wheel was moving around by itself which was pretty spooky, definitely a must see and it’s nice to walk around the area too. Klunkerkranich is the place to be in Berlin. It is a super cool rooftop bar in Neukölln overlooking the whole of East Berlin. It’s a quirky bar and you have to ‘know’ about it in order to access it. You have to go up a lift in a car park, go to the highest floor, once you get out you will be left in a car park, walk around to a ramp and you will find a funky garden. You are now in the coolest bar in Berlin. I have only been in the nights so sadly I have missed the sunsets! But I’d love to go back on a sunny day to enjoy the views. In the evening it is usually busy with DJ’s on, the seats in there are super comfortable too. Bikini Hotel Berlin is the latest hipster hangout. You don’t need to be staying there in order to visit. Whilst walking there you can find views of the Berlin zoo (for free) so we saw a few monkeys which was pretty cute! There is also a rooftop bar here too but I’d really recommend booking in advance – we tried to go when it was 2 degrees outside and there was still a queue coming out of the door. On the main floor of the hotel there is a chill area, named ‘bikini island’ with unique seating, access to use of macs for focused work, hammocks to chill in and a cafe. There is a DJ area that sets the tone and feeling of the place – super nice atmosphere and a new place to be. No photos as my phone was dead but definitely worth the mention! There are tonnes more things you can do in Berlin I couldn’t possibly fit it all into one post but if you need anymore help then feel free to ask in the comments. There is really no way to travel ‘without money’ but you can do it for cheaper than the average person. As long as you aren’t bothered about having a certain amount of privilege in your life each day then there are hundreds of ways to travel and to make it last for as long as possible! WOOFing is one of the most common ways for cheap travel. Sign up to the website, decide where you want to go and see what’s on offer. The idea is that you volunteer around 25 hours per week on organic farms in return for all your food and accommodation. As with everything, there are a few horror stories but as long as you do your research, read reviews and speak to hosts there is a chance you are going to have a really good experience. Like WOOFing you volunteer your time in return for 3 meals a day and accommodation. Although workaway is slightly more difficult for getting work there are many more opportunities available. You can do anything from au pair work to building to music, match your skills to hosts and send them a message explaining why you want to work for them. I have been living like this for a few months now and having the time of my life meeting people I wouldn’t have done otherwise. If you are looking for long term travel or just want to travel for cheap the cheapest way to get around Europe is Flixbus. The UK equivalent to Megabus. Long cramped journeys may not be your thing but for less than 20 euros from Berlin to Prague count your blessings. A more common way of travelling for cheap is airbnb, rent out full apartments, single rooms or even shared rooms, prices do vary but it’s much cheaper than getting a hotel. Don’t be afraid of getting rooms in houses with people that already live there, I’ve made friends this way and so far all of my experiences have been good. Use my link below and sign up and you will get £25 off your first trip – which in many places is a room for the night, sometimes two nights. Bla bla car is a platform for long distance travel across Europe. Drivers advertise their empty seats in return for fuel money – the more people in the car, the cheaper the journey. Although it can be slightly more expensive than Flixbus the benefit is that you can get dropped off in an exact location and possibly make a new friend along the way. Couch surfing is great if you are a solo traveller as it connects a global community of travellers. Not only does it enable you to find events and meet new friends but it also gives you the opportunity to stay at peoples houses for free. It’s not for everyone as often hosts want to get to know you and spend all of the time with you, but if you are travelling alone I imagine it can be pretty useful. It costs £13 for an annual membership. After a long decision, I finally bought a new pair of trainers. Already a popular silhouette, these trainers are a MUST have! They are comfortable and much less bulky than other air max I have jad in the past – I think 90’s are too big and clumpy for me to wear. Available in store, or if you’re a student get them off ASOS and receive 25% off! 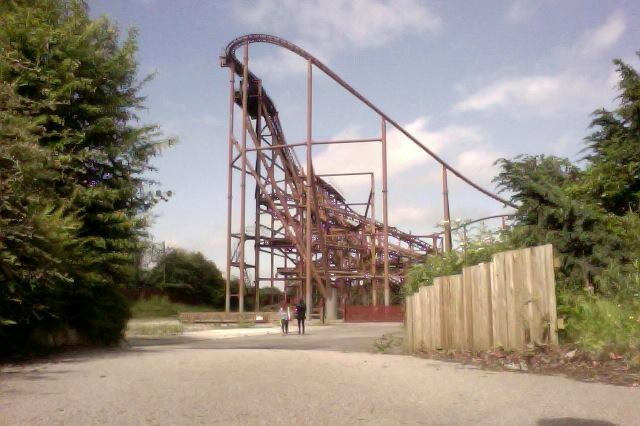 So after an early get up, we headed to abandoned Camelot! I was slightly apprehensive to begin with as I thought there might be a crazy security guard that would chase us, but everything was fine and we were safe! Getting in was really easy, others had clearly been there before and had made it easier for future adventurers to get in. 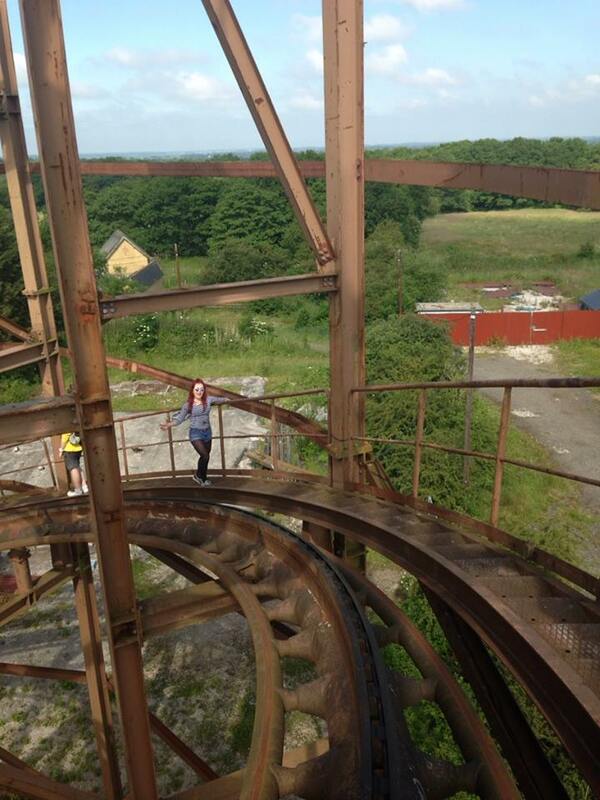 Once in we climbed a rollercoaster, went in the hanuted house and saw the old school “Wippy” food court. I can briefly remember going there as a child, but it felt so much different as it was silent and ghost-like. 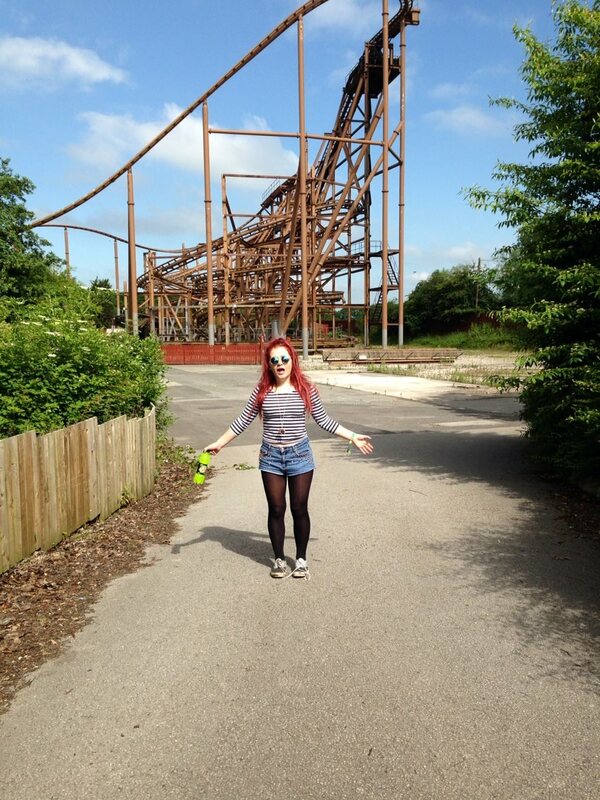 There was something really eerie about the place, hazy air and it was clear that this was once a place of fun and happiness for all! I had fun and was happy there, you should all check it out! It’s in Chorley.